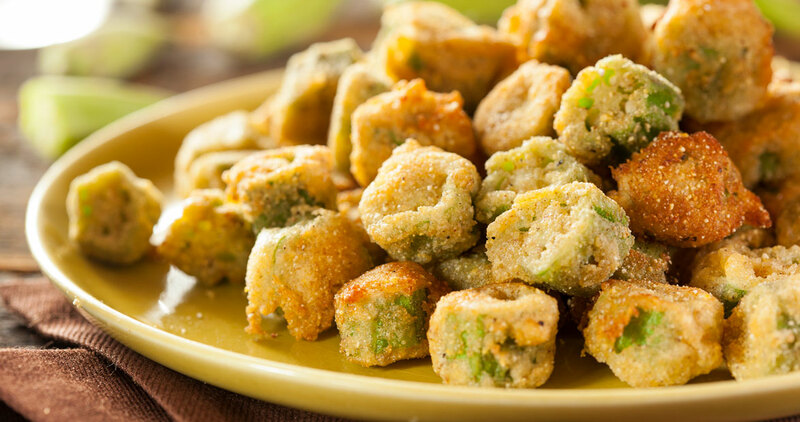 Try this fried okra recipe for a classic Southern side dish. Wash and dry okra. Cut diagonally into ½- to 1-inch pieces. Dip in beaten egg. Roll in mixture of cornmeal, salt, and pepper. In frying pan, heat vegetable oil to almost boiling. Brown, turning okra constantly to avoid burning. Drain on paper towels before serving.